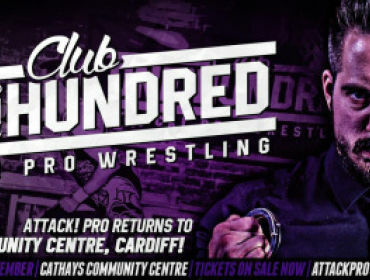 Attack’s latest show was held in Cardiff at the Cathays CommunityCentre, although this show was slightly different as this was the first time Isaw the show from the Bingo Hall. It also seemed to be many others first timethere as well since they somehow managed to hide this much larger space. Therewas also a nod to the infamous Spanish announce table from a certain mainstreamwrestling promotion as I noticed a covered up table with a piece of paper aboveit that said, ‘Española.’Its significance will be revealed later in the review. 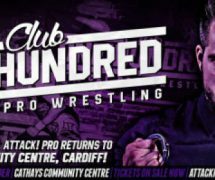 So, onto the actual show- it opened with the master of ceremonies Jim alongside Shay, Attack’sfavourite referee, making a few chuckles before starting off the first match. This match started the night on a crazy note, as is theusual with Attack shows. You had Officer Banks, formerly known as Travis Banksand now a member of the Anti-Fun Police, doing his best to ruin everyone’sgood times. But they wouldn’t have any of it. Drew Parker, one of the rising stars inAttack showed quite the fast paced style that kept knocking back Banks andlevelling the innovative style of Danny Jones. As I mentioned with the crazy shenanigans, there was anexchange that involved LMD having some type of nourishment with him that may or may not be appropriate totalk about the real content, but Danny Jones assured everyone, that “itwas NOT drugs.” Falling for this, Banks swallowed the tablet and something inhim changed. Music began to play and he started beating his opponents up to araving tune that came out of nowhere, certainly not from the speakers. After hegot the upper hand, he passed out as you would do from having too much fun.Taking this opportunity, everyone wanted LMD to kiss Banks back to life, and heobliged to everyone’s delight. A similar moment happened shortly after where both Dannyand Drew did separate different dives to the outside, and the regulars atAttack know that when they see a bunch of bodies on the outside, they want tosee Shay join in on the fun. He refused against the idea at first, but a suddenslip of another of LMD’s sweets (sure let’s call it that) and Shay became a man possessed and doveon everyone outside! Only at Attack wrestling will you see referees diving onother talent for no reason! The match finally came to an end when Parker hitDanny Jones with a Double Foot Stomp from the top rope to get the pinfallvictory. This put everyone in a very good mood to start off thenight, but sadly that wouldn’t last as Officer Banks attacked Parker after and hit himwith a steel chair, ruining everyone’s fun instantly. But he wouldn’tstop there as he wanted to be the one to call out the first two participants ofthe next match, which was an intergender match. As I just mentioned, Banks called out fellow Anti-FunPolice member, the former Super Santos Sr, now known as Los Federales SantosSr, and also a new member to the AFP, Officer Windsor, better known in otherplaces by her full name, Alex Windsor. Another debut to Attack! challenged them as the Weird andWonderful Sierra Loxton teamed up with the Attack! 24/7 Champion, Ryan Smile.Now this match had some tension involved as Ryan Smile was of course a formermember of the AFP, and it also seemed that Smile and Windsor have a history asSmile jokingly told her quite a few unflattering things to say to anotherwoman, let’sjust say it like that so he or anyone else doesn’t get in trouble. There were no held punches in this match up, despite whowas in the ring. Men hit men, women hit women, and the opposite genders evenhit each other, maybe even just as hard with the way they were slapping andkicking one another. There was one funny moment where one of the fans near meheckled Banks. For his punishment, Banks simply snatched the fan’sdrink and placed it on the other side of the hall, causing a few laughs fromall who saw this, except from the guy who got his drink snatched of course. Despite being a debut for both Windsor and Loxton, bothheld their own in their unique ways and did not show any signs of stage fright.However Windsor’s overconfidence got the better of her as after sheslapped Smile at the end of the match, he wasn’t smiling anymore as he superkicked her hard in the head,hit her with a back suplex into his knees, and then a top rope frog splash forthe pinfall victory. Before the next match started, Jim tried to calm thepeople down who couldn’t decide whether they wanted a ‘raffle’ or ‘bingo’,these Attack! Guys REALLY do like their recreational pass times don’tthey! He also mentioned words about the Bruiserweight, Pete Dunne, whom he hasa history with, but didn’t want to cause trouble so he just announced the nextmatch. Dunne remained stone-faced when he came out, but I’llassume this was due to the sheer fear. Or maybe they noticed he didn’thave his usual top-knot and got confused about who was in the ring. 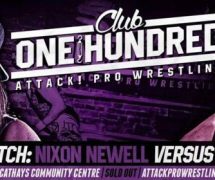 His opponent,Nixon Newell got a much friendlier reaction and this trend carried onthroughout the match. The crowd obviously made a “Where’s your top-knot?” chant at Dunne as well as poking fun at his name bychanting the Darth Vader theme from Star Wars at him. Oh, these witty Attackcrowds! One thing that was constant through this was the utterviolence the two were put through, and it didn’t matter that it was an inter-gender match. Nixon hit twosuicide dives on Dunne followed by a third then transitioned into a DDT on theoutside, which was impressive to see. Pete Dunne bit Nixon’sfingers at one point after taking out his mouthpiece, and then also bit thefingers of the referee Shay, showing a bit of bitterness towards the ref fromtaking his 24/7 Championship from him earlier in the year. But both Nixon andShay got a bit of payback as they bit both of Pete’shands which the crowd were way into. More impressive manoeuvres that came from these two werePete hitting Nixon with a vicious forearm and then a sit-down powerbomb, Nixonpulled out a Molly-Go-Round as tribute to one of her favourite wrestlers, MollyHolly, which you would know if you listened to her appearance on Morgan Webster’swrestling Podcast, ‘Wrestling Friends.’ The end was really down to the wirewith Nixon hitting her Canadian/Welsh Destroyer on Pete, but him kicking out ofit. Many sick strikes and kicks to Nixon, who kept getting up and yelling atDunne to give her more (Valley girls are a tough bunch). Pete Dunne even hither with a tombstone piledriver ON THE CONCREATE OUTSIDE! That would be tough for anyone,but for Nixon to get up from that was beyond words. The ending eventually camedown to Pete hitting his finisher to get the pinfall win. People were unhappy with this result, but were even moreupset that Pete attacked Nixon after the match. He kept egging on the host Jimto come after him, but when Jim eventually hit the ring, Pete ran for it whileNixon was helped to the back. Next was a short interval and not much happened really,just a quick pee break. I bought an Attack! T-shirt, an azalea Attack! T-shirtI might add. I feel the need to say this as it’s better to say that than just a pink t-shirt. 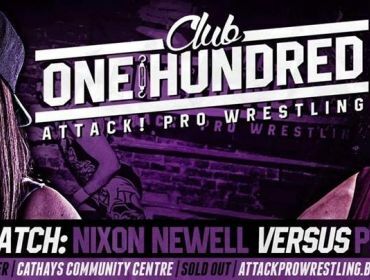 Wrestling fans, please correct me if I’mwrong, but this match featured the second match of Splits McPins, who debutedat the Walkabout show from last month that I unfortunately couldn’tattend. He entered the arena hitting a few set up bottles with his bowling ballto the delight of all. Also I believe this was the first appearance of hismanager/coach, ‘Fat Cat’ Lloyd Katt, who didn’t look very clean in his appearance sadly – some mighteven call it messy. (If you know the reference, you know). 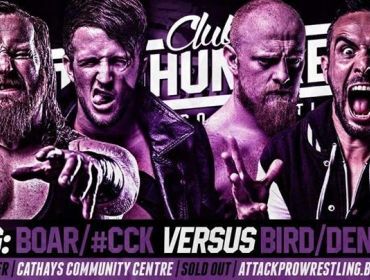 But still, Katt goton the mic before the match saying how things aren’tlooking good for him and his boy McPins since their bowling venue, better knownas Bowl-A-Rama is in the state of closing down. So they need to win as manymatches as they can so they get more money to prevent that from happening. Avery nice goal and that sadly might explain Katt’s appearance, though I have to say, socks and sandals?Darn that style needs to be brought back, and many of the fans in attendanceagreed with chants of that. 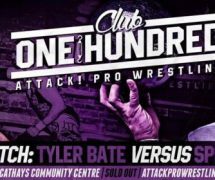 The match itself was enjoyable, with Tyler bringing aclassy mixture of technical and powerhouse styles to his repertoire. But whatMcPins lacked in those he brought back in something way more pleasing to thecrowd -ROLLING! At one point when Tyler was set up on a chair on the outside, Splitsrolled around the entirety of the ring, only to poke him after it all, or Ithink he poked him since my view was blocked by what he actually did. He also hita bowling thunder (Rolling Thunder parody) and even went to the top rope todrop his bowling ball right on Bate’s body! Though it did seem a little softer than regularbowling balls, maybe it’s a special material or something, DEFINITELY A BOWLINGBALL THOUGH!There was another moment with the bowling ball where Tyler was sat in thecorner, and McPins attempted to roll it in Tyler’s… well, his legs were open, you get the idea. But it didn’twork as Bate caught it in time and instead did the same thing to Splits, whichended up working for him. The end came after a tug of war with the ball betweenTyler and Fat Cat. Tyler dropped it and had Katt on his shoulders. He thenattempted to pick McPins up by his legs and spin them both. Sadly, he couldn’t dothis, so he simply dropped the coach on top of his student and got the pinfallvictory. A very fun match, though it was a shame McPins lost, hopefully him andKatt get more money to save Bowl-A-Rama in the end. After the match, Jim was about to start the raffle, butPete Dunne reared his bitter head again and attacked him. The attack led to theoutside where we dragged the showman to the previously mentioned Espanolatable that was mentioned. And as wrestling tradition would have out, Jim wasslammed through it to the disdain from the entire audience. Shay and a crewmember had to help Jim to the back, Splits and Lloyd even came back out to helpthe effort as well. 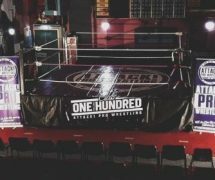 Since there was no ring announcer, Chris Brookes took itupon himself to let everyone know there was no raffle, to the dismay ofeveryone in the room apart from CCK. He then announced themselves and WildBoar, and then gave as much opportunity to belittle their opponents in theirintroductions. Though when Eddie entered the ring last of all, getting thebiggest reaction of the night as he walked through the crowd because, well, it’sEddie Dennis! He wants to be one with the people. 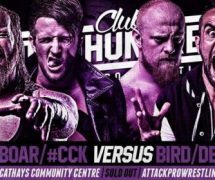 The match soon started whenCCK & Boar attacked the favourites from behind, but they were able to turnthe tables in a hurry. There was way too much craziness to go through during themain event, as most Attack main events go, so I’ll do my best to highlight some big parts. “SHUTUP LYKOS!” wasa constant theme whenever Mondai was in the ring, whether he was taking abeating (which he was most of the time) or on the offensive. He truly is AttackPro’sversion of Meg Griffin from Family Guy, maybe even worse off. And it’sthis reason that worries me that I’ll end up liking him in the end. He’snot a likable guy, but I like Meg from Family Guy due to her being degraded so much.PLEASE don’tmake me like Lykos Attack crowd, not many people want that – Butto be fair he did take A LOT of beating. There was an exchangebetween Eddie, Mike & Brendan all doing joint delayed suplexes on him atthe start. Brookes gave someone one of the most disgusting wet willies I haveeven seen – the saliva was dripping from his finger. I better not think of itanymore otherwise I’ll legit throw up. At a point, everyone was doing dives.Mike doing a suicide dive, Lykos an over the top plancea, and Brendan divingfrom the turnbuckle, all to the outside. Eddie powerbombed Brookes ontoeveryone from the ring to outside, and even did the same thing to Shay. After this everyone fought outside and went all over theplace. Eddie left fighting someone outside the Bingo Hall, there was a Ladderdive at one point, it was too much to keep track of. During this time, Brendanwas taking the majority of beatings, but Bronco Brendan White is a tough one ashe was able to hold his own in time to get help from his partners, even showingbig power on his opponents in the process. As the match came to a close, Eddieaccidentally superkicked his partner Mike, which caused tension between the twosoon after. This led to Eddie getting pushed into Mike and Mike even teased turningon Eddie after setting his own partner up for a gotch-style piledriver. But hethought against it and went after Boar instead. The ending came after afinisher chain from everyone that finally ended up in Eddie hitting his LiftedReverse DDT with Mike helping with a knee to Lykos for the pinfall victory. Everyone was definitely pleased with the result, and Eddiewanted to address this. But Mike quickly got in his face and basically toldEddie to watch himself. I mean he better, he doesn’twant an Angry Bird after him. The two are the finalists in the Attack!Championship finals after all, so they will meet in the ring soon enough, butwhenever that is – you’ll just have to stay tuned to find out. And of course,Eddie was able to bring good news to everyone, and that he would be hosting theend of show raffle! So everything ended on a good note, nice, very nice! ThoughI didn’twin anything, I’m alright with that since they seem to despise anyone whowins something in the raffle. 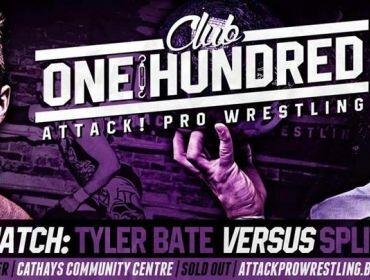 Attack’s crowd are an interesting bunch, excited and rowdy oneminute, but bitter and salty the next – where else but Attack! 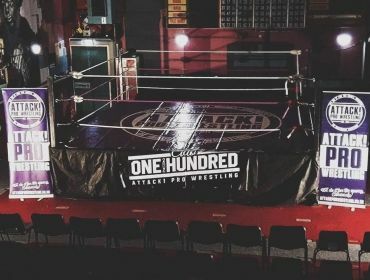 But that’s that show done with and I’ll be posting a special supershow following this,featuring two places I post reviews on regularly, and hint hint, Attack is oneof them. So expect that soon. But until then, make sure to check out Attack’ssocial media pages for news on future events.